We have been renting Unit F for several years and recently purchased this identical unit. We live nearby and enjoy all of the beauty and fun that Beaufort and the crystal coast has to offer. There is beautiful nautical mosaic tile work in the shower. In the center of historic Beaufort. Beautiful view of Taylors creek from rooftop deck. There is a mid deck and a roof top deck that overlooks Carrot island. It is not unusual to see the wild horses while enjoying your morning coffee. All you need for a weekend getaway. Very convenient location. We especially enjoyed the rooftop deck overlooking Front st. Perfect for what we needed. 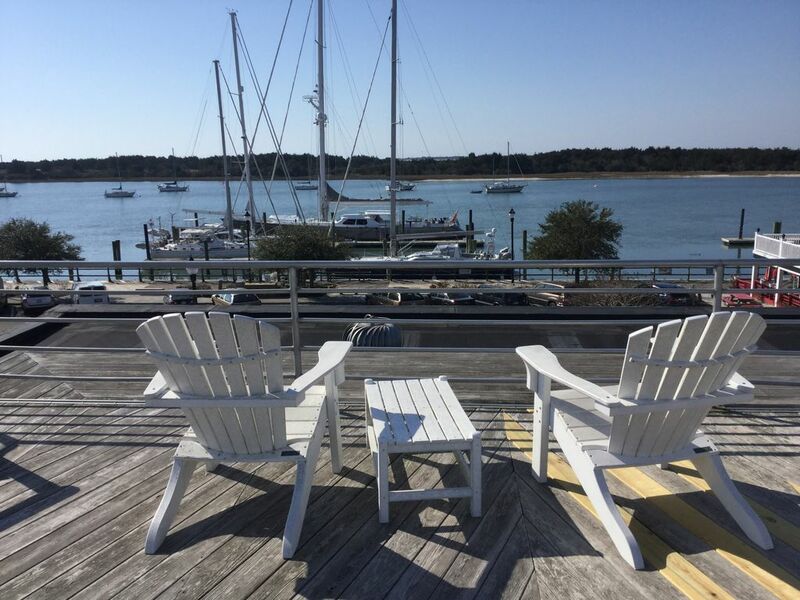 The perfect place to rest after a day of fun in Beaufort. We had a wonderful time in Beaufort. We did everything there was to do. We had a great time and the room for perfect for us to rest our heads. We stayed in this efficiency off-season while working on a project in Beaufort. The view from the roof deck is ideal. The rental offers just enough space to be comfy, but encourages you to explore the many wonderful things that Beaufort has to offer. Located in the heart of Downtown, this property is ideal for a short getaway. Room was nice, a little small but it had everything we needed, and they were nice enough to accept pets. Tip- Turner St Market serves a good breakfast. Great location to downtown waterfront with wonderful sunset views from the upper rooftop deck. Although it was small (as advertised), it was well maintained and very efficient! Tami was very helpful in answering questions and offered great information on the local area of things to do. We will definitely be visiting Beaufort in the future and we will happily stay at this property again. To be small it has everything you need. Clean. Bed was comfortable. 3 minute walk to great restaurants. We will go back.